Ayoola Ogun-Semore, DE 6’5″ 240 lbs. In a big win for the Hawks over county rival Dacula Friday Night September 2, 2016, Ayoola was dominate from his defensive end position. 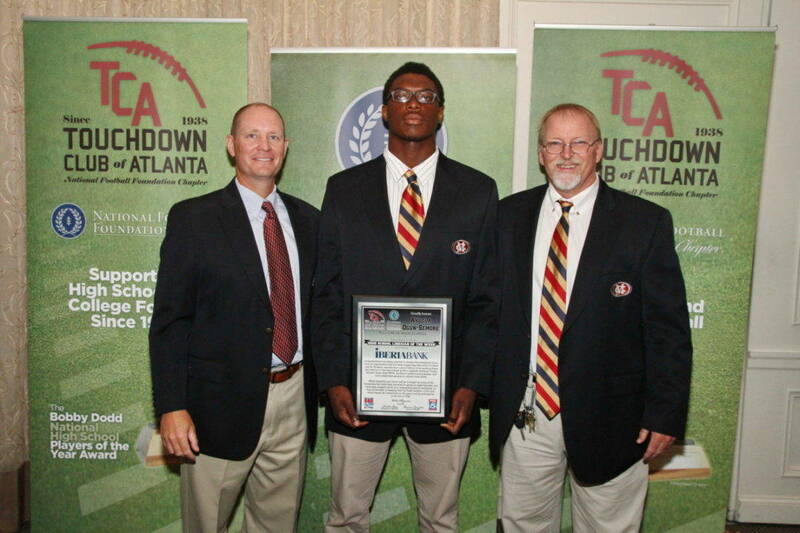 He tallied 8 tackles, 5 solo, 3 TFLs, and a fumble scoop and score to help the Hawks best Dacula 30-0. Said Mill Creek coach Shannon Jarvis, “He is a great kid with high character.” For his performance and the aforementioned comment, we have chosen Ayoola Ogun-Semore as our Lineman of the Week for September 2, 2016.